During the most popular of celebrity divorces with Brad Pitt and Angelina Jolie’s separation, capturing people’s heart’s since the end of September 2016, Angelina had battled with some seriously nasty “political” smear campaign tactics against Brad, “no doubt”, something which was learnt from her two employed advisors, Arminka Helic and Chloe Dalton, that were there to help mould her into a future role within The United Nations, someday, both of course, are former employees of William Hague. 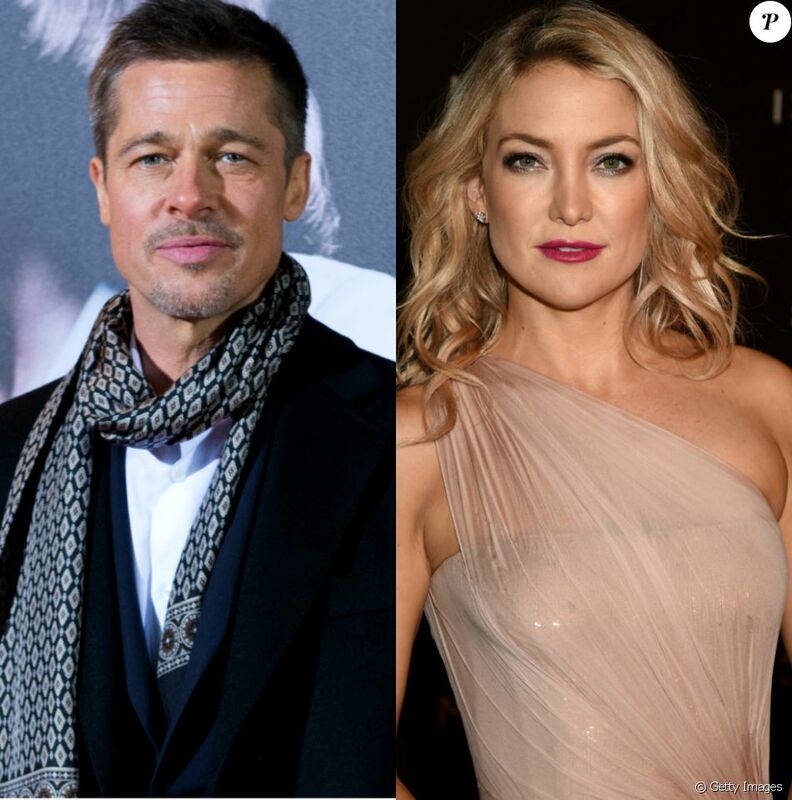 Brad Pitt had accused Arminka Helic and Chloe Dalton of creating a wedge in their marriage. Go figure! Speaking from experience, a wedge is the most common irritant applied by those wishing to separate. So, Angelina brought in the reinforcements, a while back, when she envisaged herself into some form of future politics or something? These types of wedges, whether they’re common friends that are “Fake AF” or in Angelina’s case, blatant lowest of the low tactics in a future separation by use of “political hacks”, eventually, it will “piss you off!” So, Brad has some rights, too. Hats off to Brad for keeping it “classy” though, but you see? Brad has lawyers, too…Angelina’s dirty tactics in trying to get full custody of the children, claiming that Brad was an abusive father, he was on drugs and everything else that she had claimed, has now backfired after a failed FBI investigation on him. An FBI investigation over some words with a moody teenager on an airplane, was that not a complete waste of time? I mean it sounds crazy for the FBI to have to investigate a mere disagreement, between a father and an adopted teenager aboard an airplane. Some sources in Hollywood claim that Angelina might just be that “unstable” and “crazy” type of person, but it has only been said by Jennifer Aniston, and it’s possibly now effervescently running around in the thoughts of Brad Pitt himself, but that might just be a biased view entirely, or not? It’s hard to pinpoint, as it “takes two-to-tango”, but usually there’s one reason or more reasons for it. Too much drama, too much take and not much give; is usually why couples end up, breaking up in the first place. Screaming at your partner is also not appreciated, after a while. This is usually, when men leave. But, the good news for Brad is that whilst camp Angelina was trying to destroy him, Kate Hudson and her wonderful family had met with Brad Pitt and seemingly it was the beginning of a wonderful and easy going friendship. Of course, Kate’s mom, Goldie Hawn and long time husband, Kurt Russell, would no doubt probably support this typically good guy, called Brad Pitt, for their daughter, the known actress, Kate Hudson. All very easy going and good people, I mean, just look at Goldie Hawn and realize that she’s the epitome of being down to earth. This influence on raising a good daughter, probably rubbed off on Kate and for Brad Pitt it must’ve been refreshing to meet somebody like her, a sort of opposite from Angelina Jolie, if you will? Guess what? They’ve been spending time together and early reports suggest that they may even move in together, at some point. It’s a little too fast to say, still, but why not? Just give it a go? People deserve to be happy, after all. No need for all the drama, especially when you’re an actor, you want your home life to be drama free. You get enough drama on a film set. So, what’s next for Angelina Jolie, apart from learning how to share? Nobody knows, but with ‘The United Nations’ soon to be losing traction on the world’s stage, we don’t foresee any role for her there, either. Sometimes women regret what they do? But by then, by that time, it’s usually way too late. It seems like Brad could’ve found himself a new extended family already. Are we surprised? Nope and we’re very happy for him, whether they just enjoy each other’s company or get more serious. The choice is theirs. Enjoy this new lease of life and soon you shall have the right to shared custody of your children, as well. More good news, today. Keep trucking, Brad. We support you. Soon celebrity publications will be calling them, “K-Brad”, or maybe not? It’s got a nice ring to it.